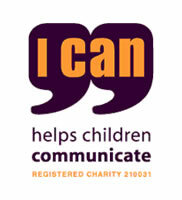 Translation Central is a proud sponsor of I CAN, a UK charity that supports children with speech, language and communication disabilities. I CAN is primarily involved in raising awareness on this condition that affect thousands of children each year* in the UK only through various campaigns and fundraising events. Their activities are ultimately aimed at helping children integrate into mainstream society. We all know that language is the foundation of learning and communication. Children who are not able to articulate their thoughts effectively experience isolation and have fewer chances to succeed in life. Translation Central feels very sympathetic to I CAN' s cause and has decided to make its contribution by offering translations of short sentences free of charge. You can donate as much as you like and we appeal to your generosity. Italian: “finché morte non ci separi”. English into German, French, Italian, Spanish, Russian, Portuguese. German, French, Italian, Latin, Spanish, Russian, Portuguese into English. More language combinations subject to availability.